FieldCast Power Box One is a 19" 1RU box with 2x 24V power supplies in the box, of which one is redundant. So if one power supply falls out, the other one takes over. 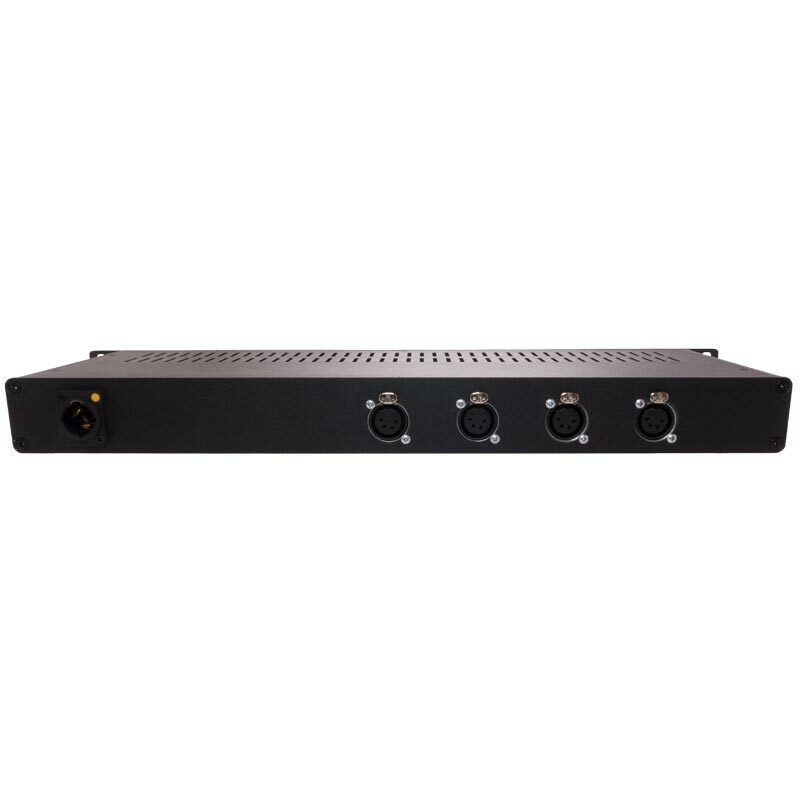 FieldCast Power Box One has 4 XLR connections built-in, so you can power up to 4 cameras or any other SDI or optical fibre equipment in the field through FieldCast Hybrid Main Cables. FieldCast Power Box One is developed to power cameras from a distance so that the camera man is freely to move in the field without having to carry lots of cables and batteries as all camera data plus power is going over one FieldCast Hybrid Main Cable. 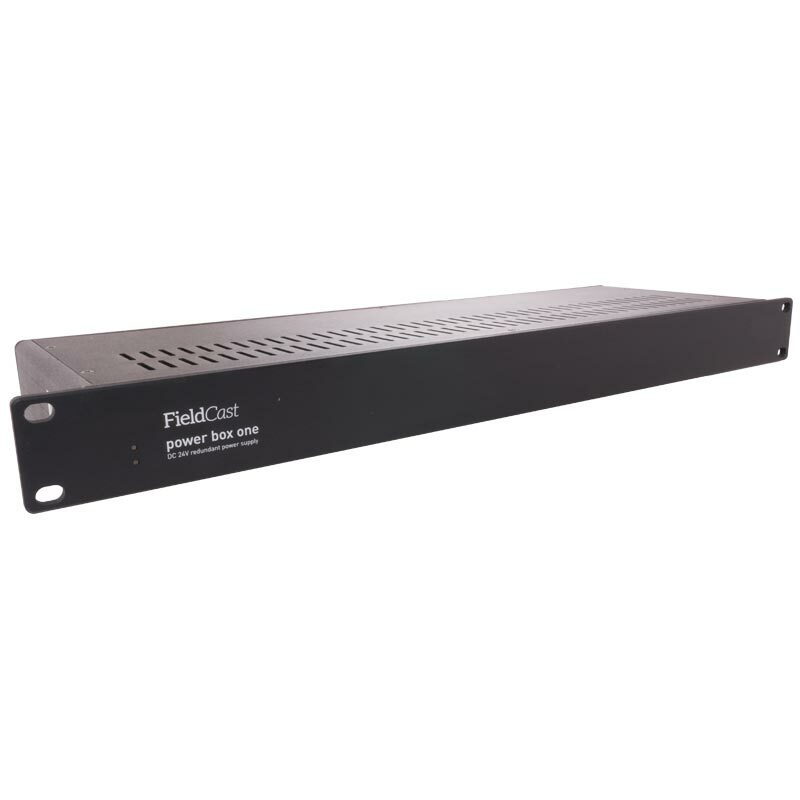 FieldCast Power Box One is a one rack mount unit typically implemented near FieldCast Power Panel. 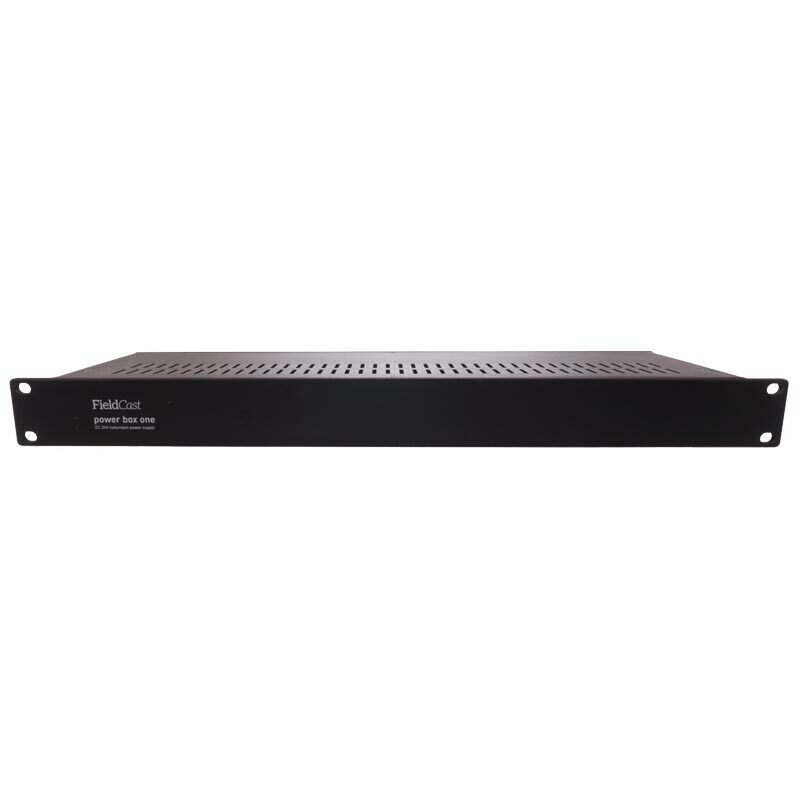 With XLR patch cables, not by default included in FieldCast Power Box One, one can connect FieldCast Power Box One with FieldCast Power Panel, and power up to 4 cameras or any other SDI or fibre optic equipment over fibre.